I was highly anticipating the relsease of this book. To say the least, I was highly disappointed in the final product, despite hearing of the alluring premise and the worked up hype that this book has recieved. Firstly, the writing style. While some aspects of the writing was crafted beautifully, other parts were quite... purple. The mild purple prose annoyed me to some extent, and often slowed down the pacing of the story, leaving me disinterested and forcing myself to plow through certain chapters. Also, I thought that the constant use of lyrics that Sam thought up was not needed. Most of the time, the lyrics were boring and left me rolling my eyes at the sappiness. They were just unnecessary and added nothing to the story, I thought. Another thing that annoyed me was the short chapters. Some were just a few lines in length, mostly from Sam's point of view, and they were all the same: generic messages explaining how much he loved Grace. The story was too lovey-dovey for my liking, and the apparent love wasn't even developed. Over the course of a day or so, Grace and Sam went from strangers to in love and unable to bear to be away from each other for more than a few seconds. That's not love. That's obsession. I'm getting quite sick of most YA romances speeding up the falling in love process. It's not realistic, otherwise. 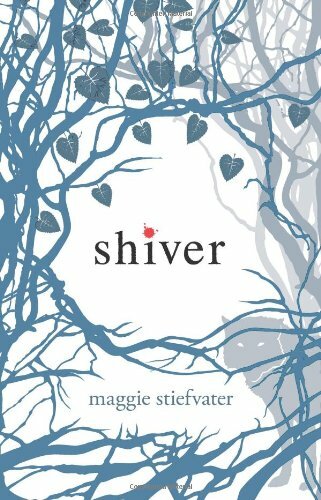 Also, Stiefvater made the common mistake in YA romances: she made the parents disappear for long periods of time, allowing for Sam and Grace to sleep together and be all chummy. From what I could tell, her parents actually cared for her, but they had their own jobs they had to do, like every single other parent on earth, but Grace has the nerve to complain to Sam about her parents not caring and not spending enough time with her, when 2 or 3 chapters before (read: literally the night before), she rejected her mum's request to hang with her and watch a movie. And right after she finishes whinging to Sam, her parents come home, being all nice and caring and wanting to spend time with their daughter, but she dismisses them like the contradicting, spoilt brat that she is. Despite all these negative comments, I did enjoy the story a bit. I loved how Steifvater explained how werewolves transformed from human to wolf with the change of the temperature. It was an interesting take on the werewolf legends. The story was enjoyable, though, I'm glad I didn't spend $30 for a hardback ( I have not been able to find a paperback of this book ANYWHERE). Thank god for libraries, I guess.